Home /	Satellite Back-up Solution. 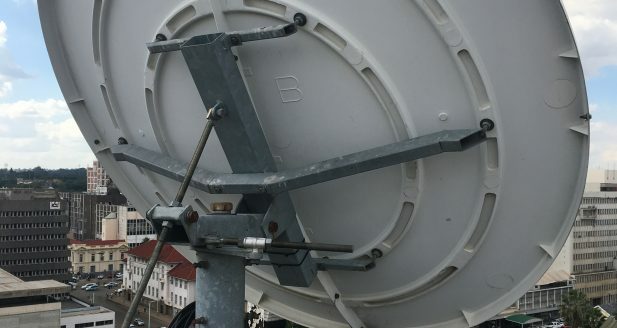 Q-KON Commissioned a Satellite Back-up Solution for Major Financial Institution when Fibre Connection Failed. We do no longer only speak about Software as a Service (SaaS) or Platform as a Service (PaaS) or Infrastructure as a Service (IaaS), the trend now is XaaS (anything as a Service). With this in mind and the fact that de-centralised cloud-based services to business customers is becoming a reality fast, network resiliency, specifically communications network resiliency, is key to the success of any business. All of the above accelerated fibre roll-outs as a last mile connectivity solution exponentially. Question is, do businesses cater for backup connectivity sufficiently? We all know that even though fibre is a non-ferrous material, there is an almost magnetic bond between a piece of Yellow Metal Equipment, i.e. backacter and a fibre optic cable. In December 2017, a big financial institution experienced a fibre break between their regional Headquarters and the Data Centre in South Africa. All branches, ATM’s as well as other digital channels were affected and their systems was offline for more than a day. Imagine you are a customer of this institution in a country where simply getting currency is a difficult task, let alone not to be able to pay for emergency medical treatment, draw money for fuel or transport as well as other essential needs. This immediately prompted this customer to get the most reliable communications medium known to man i.e. Satellite in as a backup. 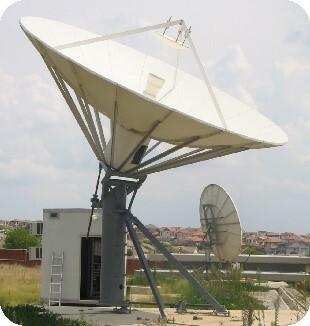 SCPC – SCPC VSAT link on C-Band that was integrated into the core banking network. Daniel Steyn, Platform Engineer, was responsible for the technical installation. 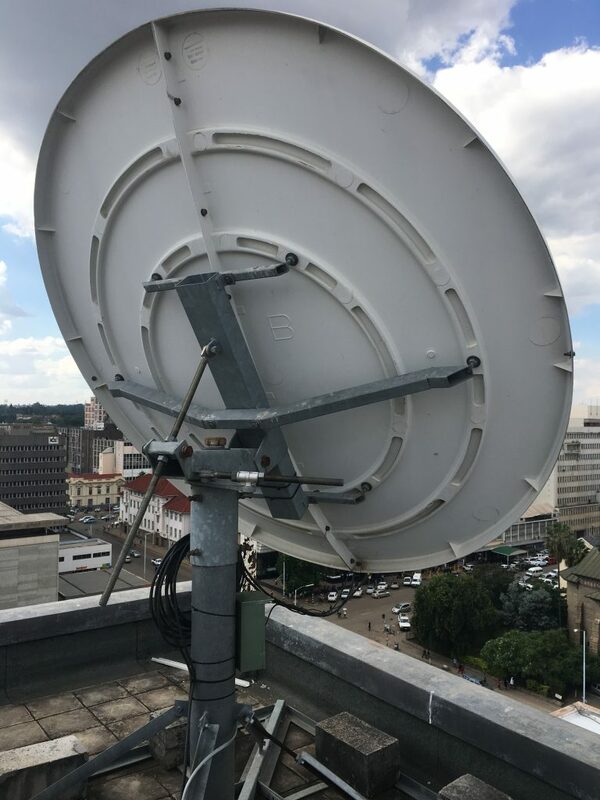 In addition to the above-mentioned project, Q-KON also successfully designed and implemented a 70 Mbps / 70 Mbps regional VSAT backup solution for another major financial institution. 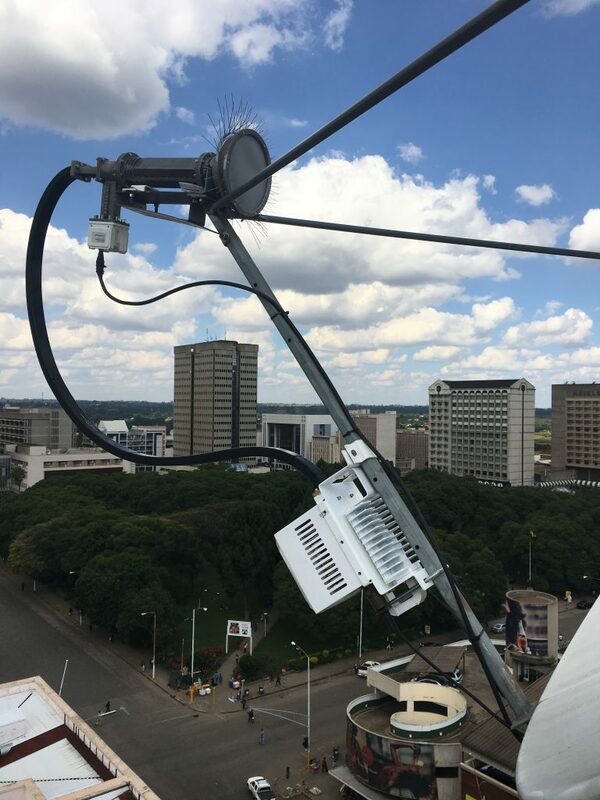 This was completed using a combination of the most advanced Ground Station equipment in conjunction with the most advanced HTS technology available.